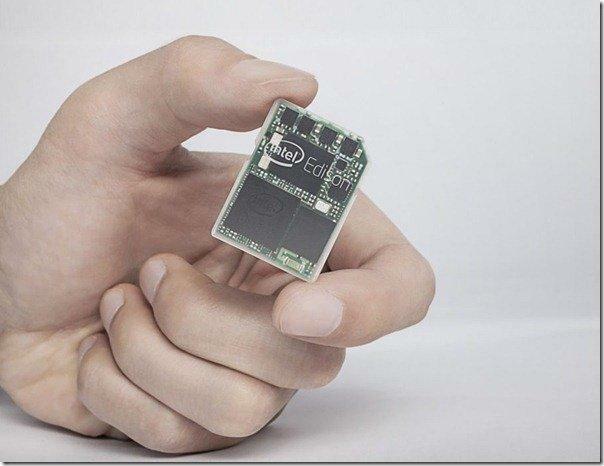 Concept Intel Edison it’s a SD card sized mini computer developed by Intel, It’s a dual core processor which is integrated with wifi,bluetooth and other specs that we see in a normal personal computer, it’s not just a chip, it can be added to any pc, tablets, smartphones and also to everyday useful electronic devices like coffee maker, washing machine, etc! It’s a wearable technology operated by Linux Operating system, so primarily it is developed for engineers and other research scholars to get best use of it and everyone can participate in Make it wearable Contest, and after choosing the best project by intel, it may led to the development of new products and Intel is providing Good incentives/prizes for the Winners! Intel Edison, a revolutionary concept which makes to get a computer in a single chip, day-by-day the era of electronics development is increasing rapidly, this led to the development of many innovative things and most of all scientists are concentrating on combining virtual world to real world, we can see the concept of sixth sense made by pranav Mistry a perfect example of this kind! 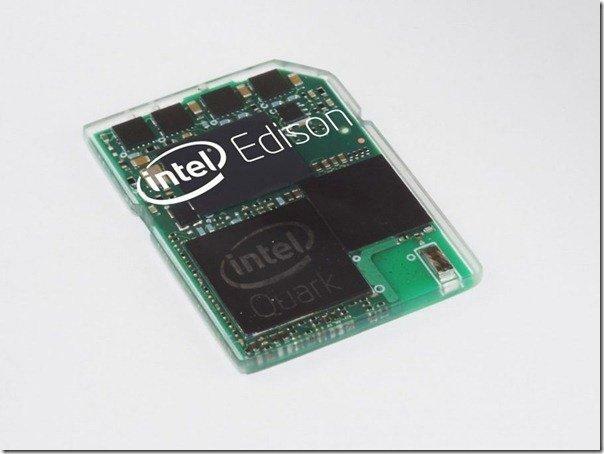 and this Intel Edison is one of that kind, we can directly interact with machines( i mean the virtual devices) and clearly make the best use of them and can set them to work on automated with greater efficiency! Intel explained the applications of Intel Edison at CES, Jan 2014, by taking baby clothing, Intel Edison chip is embedded to a turtle toy(which is completely non-toxic, and due to the big size baby can’t swallow it, so there will be no choking problem) and it is attached to the t-shirt of the baby which tracks the baby’s temperature, breathing, heart rate etc! so This small turtle embedded with Intel Edison acts as a Baby-monitor, as like the baby monitor, Intel Edison chip is integrated to a cup, and it denotes whether cup’s temperature is too hot, or does it contain any foreign particles etc!